This Demonstration shows the evolution of the distance between two orbits of the logistic map , where or . The two orbits are initially separated by a perturbation of size . 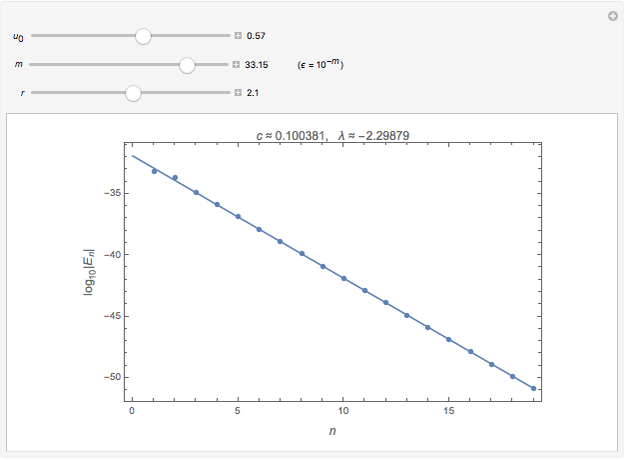 The plot is of versus for an orbit starting at , perturbation and parameter . An estimate of the error amplification factor and the Lyapunov exponent are shown at the top of the graphic. 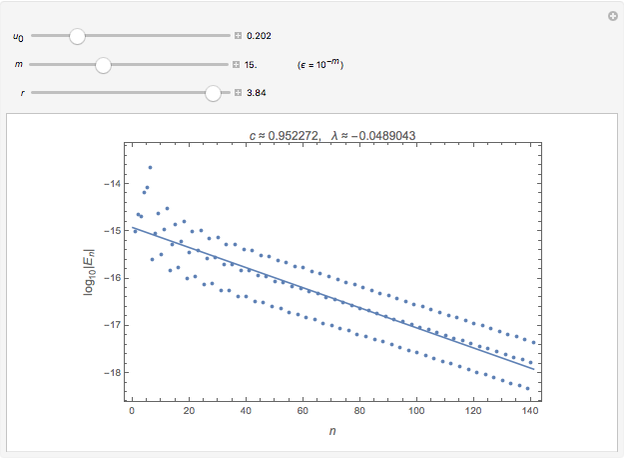 the parameter of the logistic map: . The Lyapunov exponent is estimated by means of the slope of the linear fitting of . The expansion factor is , and . 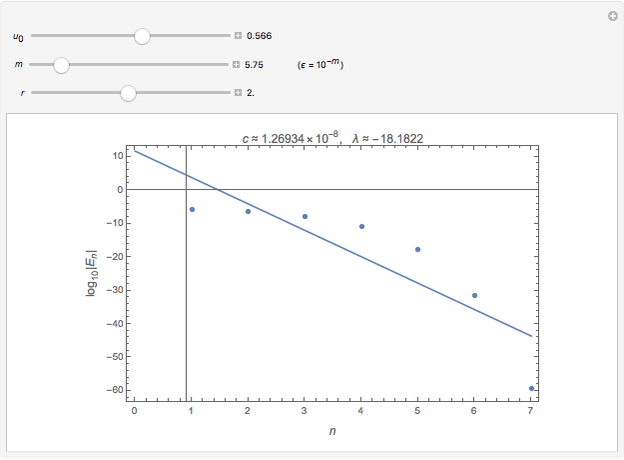 (This exponent is better estimated by for ; see the Related Link "Lyapunov Exponents for the Logistic Map" and ). The iterations stop if or or . The starting point of the perturbed orbit is if . H.-O. Peitgen, H. Jürgens and D. Saupe, Chaos and Fractals: New Frontiers of Science, 2nd ed., New York: Springer, 2004. Santos Bravo Yuste "Sensitivity to Initial Conditions for the Logistic Map"